Hello everyone! After a month off after the holidays, Inspired By Zelda is back and kicking off 2019 with a flurry of great games that pay homage to the Legend of Zelda series! We’re diving right in this month into the swashbuckling adventure that is Oceanhorn! Let’s go! 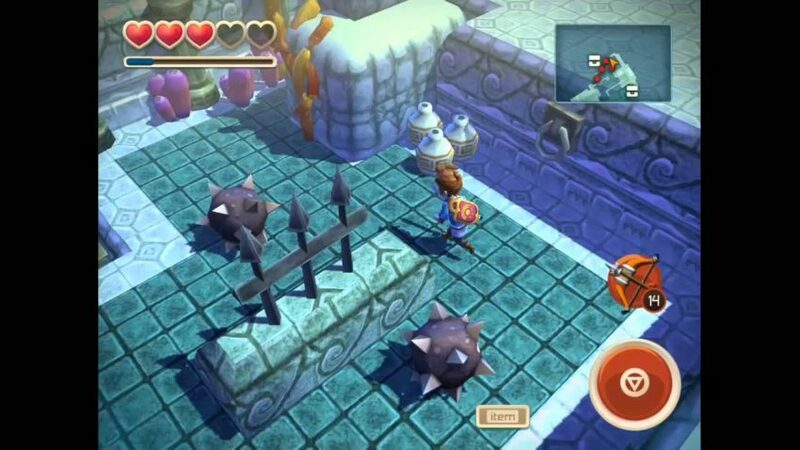 Oceanhorn: Monsters of the Sea, developed by Finnish-based studios Cornfox & Bros. and published by FDG Entertainment, and available on Nintendo Switch, PS4, Xbox One, and mobile, is a Zelda-like game in the vein of A Link Between Worlds: kinda 3D, but also kinda not. You have the same kind of stereoscopic 3D graphics with a top down view of your hero. It works well and looks good, and any Zelda vet should be immediately familiar and comfortable with how the game is played. 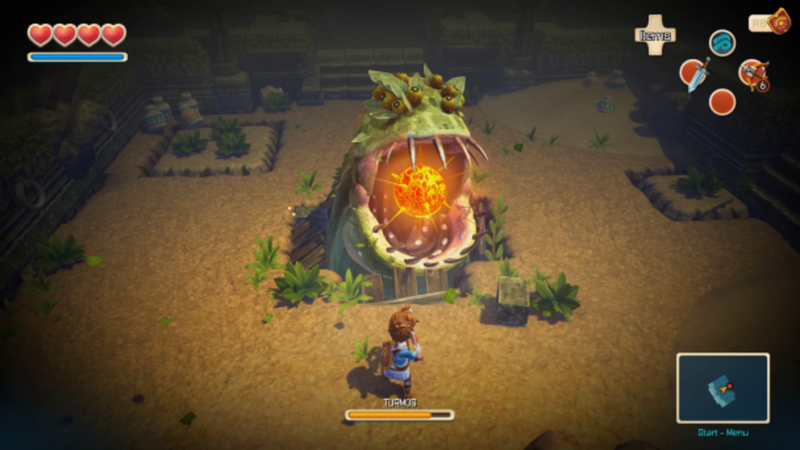 While Oceanhorn plays most similarly to A Link Between Worlds however, there are some other pretty obvious winks and nods to past Zelda games and the series in general. In fact, you could probably get your bingo cards out and start marking down all the obvious references you can think of: you find heart pieces to increase your life, with four pieces making a whole heart; you fight with a sword, shield, bombs, bow, and even a musical instrument in there for good measure; you have a familiar green stamina meter that lets you run real fast but also tells you when to catch your breath; your hero wears what can only be described as a bootleg Champions Tunic; and the world is littered with breakable pots and grass just waiting to be chopped down to give you coins. Despite all those similarities to other Zelda titles, what this game really emulates is The Wind Waker. The general gist of Oceanhorn is that you, an unnamed Hero, are looking for your lost father who went to go and fight the big bad water meanie Oceanhorn, the most fearsome creature in all the seas, and never came back. Setting sail, the hero journeys from island to island, exploring each island and trying to figure out how the heck he’s gonna be able to beat this mechanical monster. Right or wrong, the very premise of sailing in a Zelda-like game made me compare it, and if I had to guess will probably make everyone else compare it, to The Wind Waker. Oceanhorn, while obviously a much smaller game in scope, mostly does okay in this regard, although it shares some of the same flaws The Wind Waker had, while at the same time, making up brand new flaws to go along with it. There has been some pretty serious debates about The Wind Waker lately on Zelda Dungeon, but one thing I think everyone would agree on is that it has a great story and some pretty awesome characters. Unfortunately, Oceanhorn goes the other way. Honestly, the whole story is pretty bland, with super shallow characters (there is someone I thought was a random NPC that suddenly becomes the Hero’s love interest out of nowhere, making their sunset scene together feel more like a head scratcher than a tear jerker), shoddy voice acting, and a mess of a plot that can’t decide if it wants Oceanhorn or another creepy guy named Mesmeroth to be the big bad guy. It’s pretty hammy stuff to be honest, and towards the end, I was just skipping any story scenes all together just to get back to playing. Maybe it’s just me too, but the characters, with the Hero in particular, just look… bad. I’m not really sure of a nicer way to put it. You don’t really notice it when you’re playing top-down, but when that camera zooms in… yikes. The design is kind of blocky and just unflattering. It’s weird too, because Oceanhorn is a great looking game by and large, with the water looking really impressive, so it’s weird that they went the route they did with the character design. Like I said, you don’t notice it for the majority of the game, but when you do, you really notice it, or at least I did. With all that being said though, let’s get down to the real question: how does this game play? Well, for the most part it’s a silky smooth Zelda– like experience, but once again, it’s guilty of making some of the same missteps that The Wind Waker made long before it. On the plus side, Oceanhorn has three official dungeons and they’re awesome. There are some pretty cool boss fights and neat puzzles to be gone through. While this probably won’t stump any Zelda vets out there, I have to admit to being stuck a time or two in the dungeons. The frozen temple underneath the home of the definitely-not-Zora’s was probably my favorite and where I was having the most fun with Oceanhorn. There are a bunch of smaller, bite-sized islands to go and explore too, each offering some sort of secret or collectable. The drawback is that while there are maybe three or four islands that have some meat on the bone and offer you somewhere to really explore, the islands tend to be more bagel bites than full pizzas, and it’s hard not to feel hungry after. 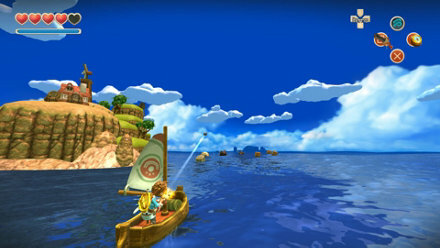 Speaking of all these islands though, this is where it becomes apparent that Oceanhorn truly is emulating The Wind Waker for better and for worse, and it carried over The Wind Waker’s fatal flaw: sailing. Maybe fatal flaw is being dramatic, but I’d have to say it was my least favorite part of Link’s GameCube adventure, and aptly so, it’s my least favorite part of Oceanhorn. The sailing itself looks cool, but I was quickly wishing that I could just fast travel and skip the process. Sailing it Oceanhorn basically just involves selecting which island you want to go to and letting the game just take you there. Sailing isn’t super slow, but it’s not super fast either, and especially at the beginning of the game, you’re just sitting around, watching your character sit in a boat, and the game automatically steers you towards your destination, which can take upwards to 3 minutes or so before you level up enough to enable faster sailing. Needless to say, it’s not riveting. This is made worse by the fact there there is nothing going on in the ocean. You might pass a ship every now and then, but you can’t interact with it. You also can’t deviate from your course, so even if you did see something cool, you wouldn’t be able to check it out anyways. It made me wonder why I couldn’t just fast travel from island to island instead of having to sit through a obligatory boat ride. Ultimately, this doesn’t ruin the experience or counteract the great dungeon crawling, but it does bog things down in my mind. I think my favorite thing about Oceanhorn is ultimately the music. The soundtrack was made collaboratively, with tracks from one of my favorite composers, Nobuo Uematsu, who’s awesome music for the Final Fantasy series still games up a large chunk of my iPod and brings me back to my childhood whenever I hear his work. The music of Oceanhorn fittingly sounds like a Final Fantasy game rather than a Zelda one, and it’s pretty cool stuff. So it’s time to answer the big question: would I recommend to Zelda fans? Ultimately, I’d say yes. Nabbing 100% in this game will probably take you around 15 hours or so, so it’s not a total time guzzler, and there is some definite fun to be had in the dungeons and exploring the islands of Arcadia. If you can get past the sailing and overlook the goofy story, there’s a lot of fun to be had. 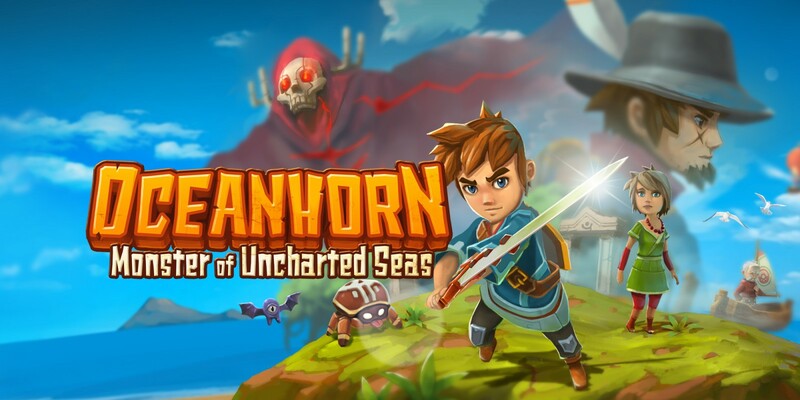 Fans of The Wind Waker especially should check this out, as Oceanhorn will probably cloak you in a wave of swashbuckling nostalgia. A sequel is in the works, and I’m excited for it! That’s gonna do it for this month, and rumor has it you may not have to wait a month for next installment of the Inspired By Zelda series! Join me as we get a little bit stealthy and explore the shadows in our next game! Until then! Andy Spiteri is the Editor-In-Chief of Zelda Dungeon. He is half man, half coffee, all machine. Reach out and let him know what games you want to see covered in Inspired By Zelda by following him on Twitter.